Apple’s iPhone is the most widely popular smartphone on the market and with good reason. There are so many apps you can download from the iTunes App Store that can keep your life organized. This includes the lives of college students, who are always busy and on the go. Certain apps are essential for these individuals to have on their iPhone and right at their fingertips as they can see an overall improvement in their productivity, social networking and in other areas. The following iPhone apps are the best for any college student. Chegg is a great free iPhone app that is provided by the top textbook rental company. With this app, college students can search through a database of millions of textbooks. This is a great tool for any student as they are required to get books for every class. You can search books by title, author, ISBN or by scanning the barcode and compare the rental prices for the textbooks you need against the sale price of the same books at stores. You can conveniently rent any textbook directly from your iPhone, which can save plenty of time and get your books to you faster. Evernote is a free app that every college student should download. With it, you can take notes, create notes by snapping a photo, record voice reminders and create important lists directly on your iPhone. It helps you to stay organized and you can sync all of your notes to your computer, tablet and iPod touch. It is a great tool to use when you are preparing for an exam or have to do a paper for one of your classes. myHomework is a great free app that can keep college students in check when they have homework assignments that are due. It includes a built in calendar that you can use to track what assignments are due when. You can keep track of the ones that are due, those that you are currently working on and those that are completed. You can get reminders of when a particular assignment is due so you can present your work on time. Skype is a great free app that allows individuals to engage in video calls and text messaging with anyone, anywhere. College students who are away from home for school can certainly get lonely, so Skype is an essential app to have on your iPhone. While the built in feature of FaceTime is a good way to stay connected with those close to you with video chatting, it is not ideal because a person can only use it when they own an Apple device. 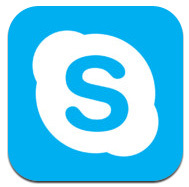 However, with Skype, you can connect with anyone who has it installed on their smartphone, regardless of the platform, and on their computer. 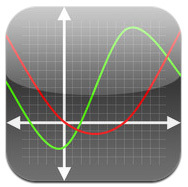 Graphing Calculator is $1.99 on the app store and is a good tool to have when you are a math student. Instead of spending a lot of money on a scientific calculator, you can use this great app to figure out all of your trigonometry equations. Tim McConnell is a software developer and contributor at Top Colleges Online. Nice listing i agree with you this is very useful & necessary app to iPhone, i like your post. I'm no longer in college but I still use Evernote and Skype! Evernote is especially useful to me and looks beautiful on my iPad 3!